The Rebel Sweetheart. : Pucker Up! 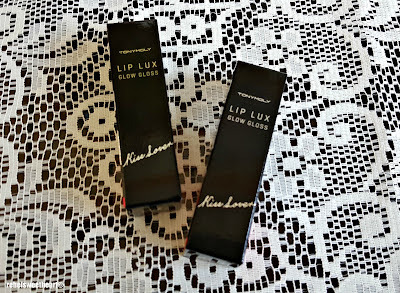 | Tony Moly Kiss Lover Lip Lux Glow Gloss. Pucker Up! | Tony Moly Kiss Lover Lip Lux Glow Gloss. I usually have a hard time choosing which makeup to bring whenever I go on a trip, but for last year's Seoul Searching trip, I made it a point to pack just a few makeup items. And it's not because I was trying to maximize luggage space. I just wanted needed a reason for me to buy new makeup whilst I was there. Haha! Well, I did bring along these lip glosses from Tony Moly because I wanted my husband to see how much I appreciate his gifts. Yes, he bought these for me a few months back, and I've been using them from time to time - I just never had the chance to blog about it. 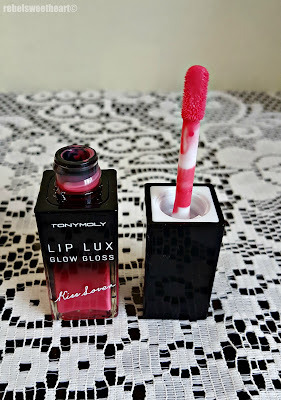 Tony Moly Kiss Lover Lip Lux Glow Gloss. 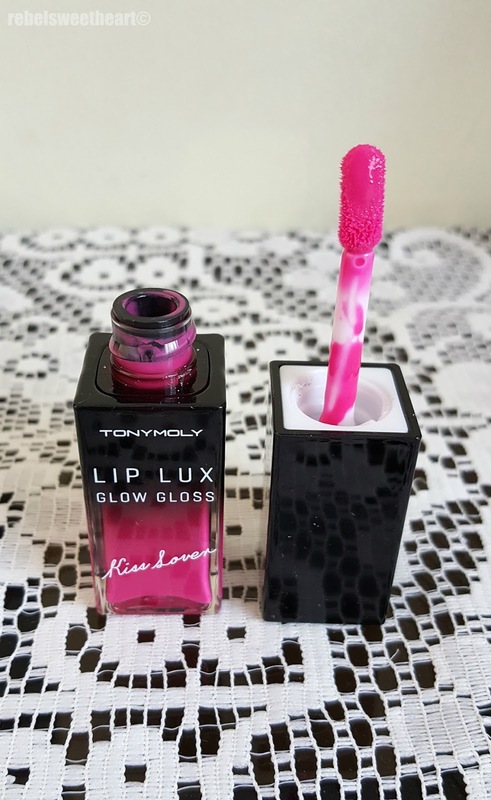 The Tony Moly Kiss Lover Lip Lux Glow Gloss line was launched towards the end of 2014, with eight different shades in the collection. The ones that I have are #3 Dolly Pink and #5 May Pink. Directions for use written in English. Shade number indicated at the bottom. I love this product's packaging - simple yet very classy. The bottle is actually see-through, so it's easy to tell if you're running on empty and need to buy a new one. 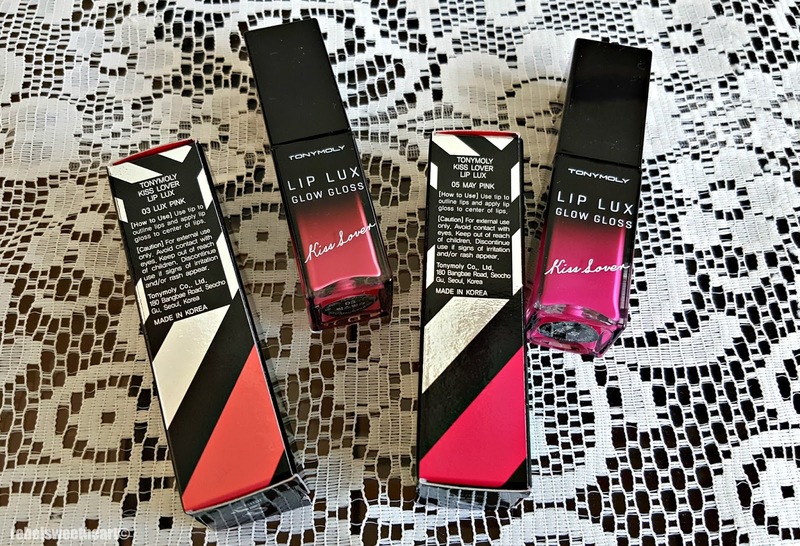 The lip gloss itself is very easy to apply and glides on your lips like a dream. It has a lightweight formula that doesn't feel sticky and doesn't leave your lips with an icky feel. 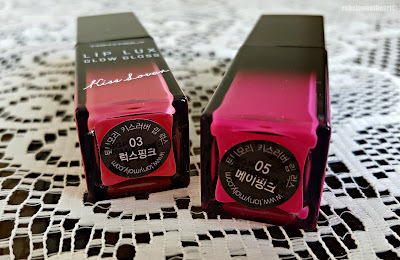 It moisturizes the lips quite well, which is why I wore these almost on a daily basis while I was in Korea. Having experienced below freezing temperature first-hand made me realize why most Korean girls wear lip glosses or lip tints and not matte lipsticks especially during winter. 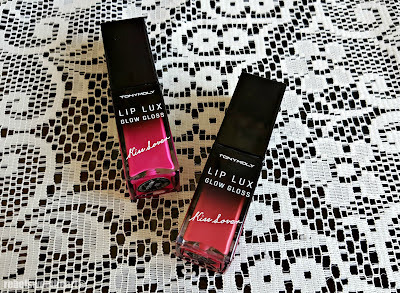 Now here's how the glosses look like up close. #3 Dolly Pink, which looks very pigmented, is actually a sheer shade of pink. #5 May Pink is a warmer shade of fuchsia pink. Here's how they look like when swatched. #3 Dolly Pink on the left, #5 May Pink on the right. 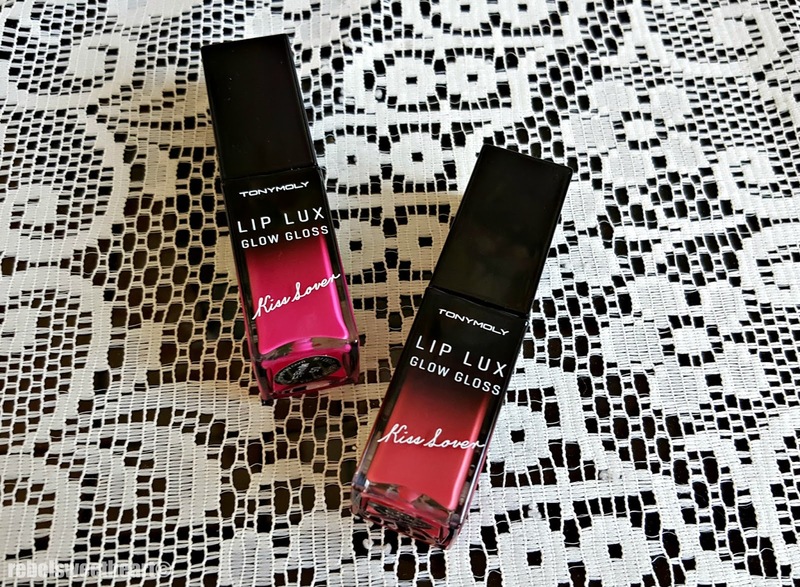 I love the glassy finish of these glosses, and how both shades make my lips look healthy and glowing. It was a good decision on my part to toss the matte lippies aside and bring the Lip Lux Glow Gloss to Korea instead. 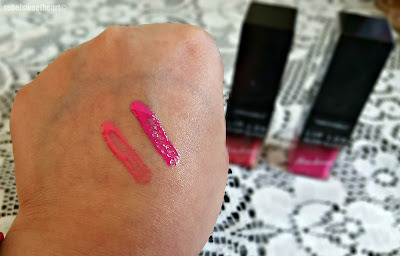 These babies really saved my lips from drying and chapping! - Does not feel heavy on the lips. - The mild, fruity scent. - The color and the glassy finish. 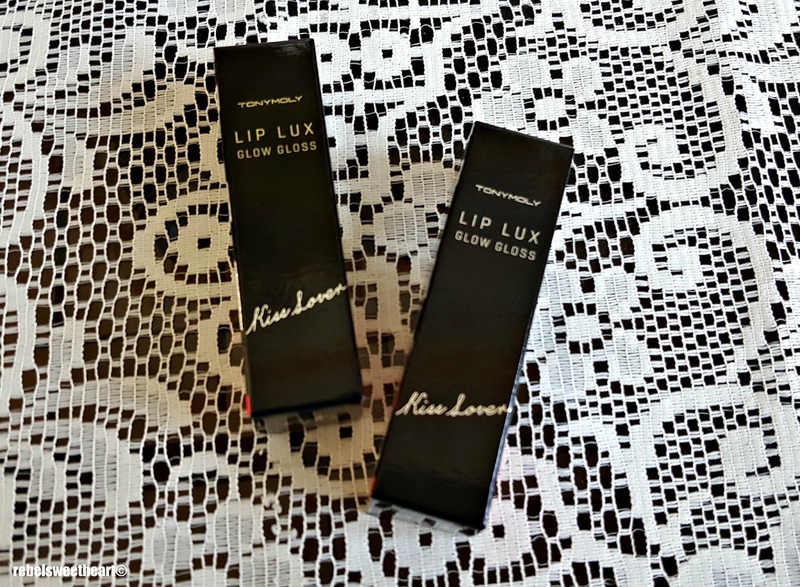 The Tony Moly Kiss Lover Lip Lux Glow Gloss sells for 9800 won a pop. In the Philippines, they're priced at Php 598 each. Nice to know they have staying power and moisturzes the lips! 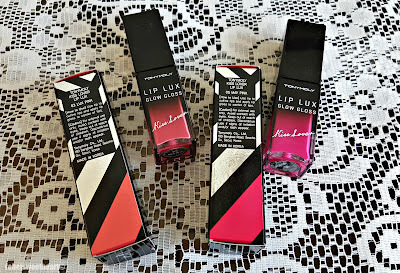 I don't normally use lip gloss though, but these are nice. Honestly i don't know about the type of lipstick but i love the color. I bet my wife love this color too. I like that it's a see through container. And that is nice packaging. This looks great on too. I love the packaging. The colors look fantastic on you. Your husband did a great job picking them out. i love those colors. i will have to show this to my daughter. Big Necklaces Can Make a Statement. Top Accessories for Improving Your Home’s Décor. Seoul Searching | Nami Island. Seoul Searching | Petite France.